I’m eight weeks in to my spiritual journey. I resigned from my career to follow my heart eight short weeks ago. If I were a fetus in the womb, I’d only be the size of a raspberry. I think there’s lots of space for growth. How is it going? Some of you have asked. What am I doing? I have spent time writing my new fantasy novel for young people. I have 6,000 words. I am enjoying Kundalini Yoga and the resonating joy from my deep dive into Aletheia. I am reading lots of books. I support myself with regular massage, acupuncture, therapy, nutritious food, and yummy connections with loved ones and lots of sleep. 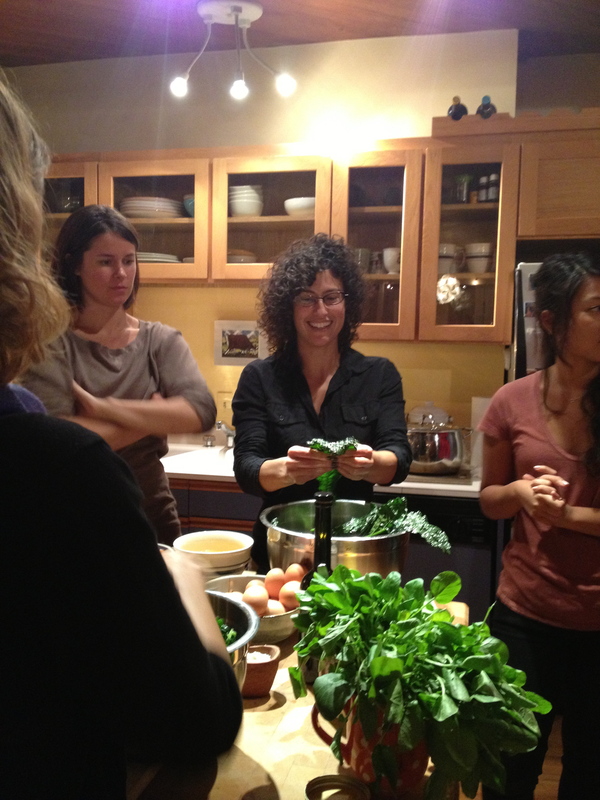 I just started Mojo Mastery Month, a cooking and nutrition class that meets once a week in the beautiful home of a local nutritionist. Last night was our first class and I have already been to the store, stocked up on some goodies and cooked a huge breakfast. 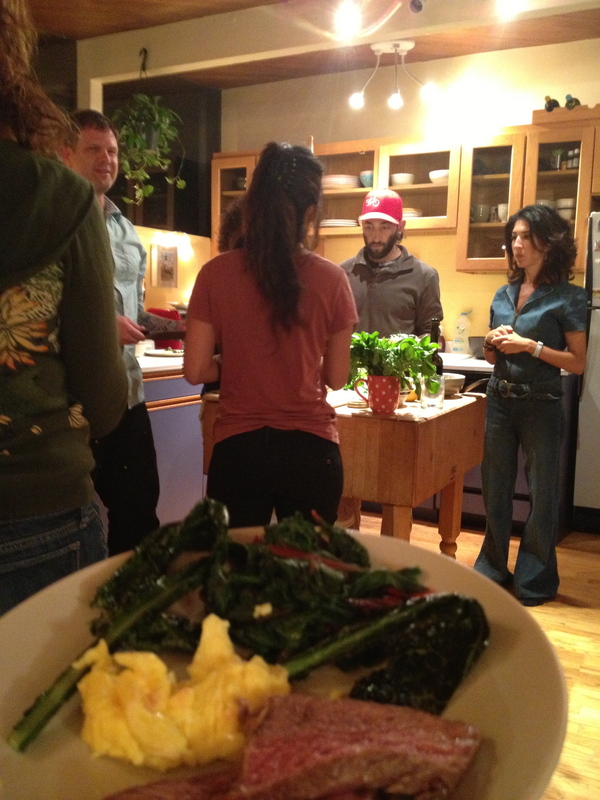 I am excited to be in the kitchen more often, building my confidence and skill with cooking healthy, delicious foods. This is a dream come true. For a long time, my inability to know what to cook has been an area of self-loathing. I am giving to myself in new ways. Expanding what I allow myself to receive. Choosing this course is a huge gift to me. I really like how far I’ve come. I miss kids. I miss the schedule to a small degree, having something concrete to get up for everyday and show up to serve the community. I have recurring dreams that I am back at school. I show up, unannounced, and just start teaching my class. Last night’s dream was stressful. I was unprepared, disorganized and frustrated that the kids wouldn’t listen to me. It was also strange that one of my friends from 5th grade was a student in my class, and I thought it odd to have a peer as a 5th grade student. To reconnect with kids, I applied as substitute in BVSD and was just hired. I plan to work part time to make extra money and be with young people. I feel a little sad actually, as I was a sub ten years ago, and it feels like a step backward, but that’s not true. I have all the years of service I gave and nothing can take away the life I lived. Just because I have to start from the beginning with jumping some hoops I have already jumped through to be hired for an entry-level position, in a field where I just gave up being a veteran, doesn’t mean I am starting over. I am starting anew, in a new district, closer to home, for a flexible position that allows me freedom to travel and choose if and when I work. That’s a good spot to be in. And, if I choose to head back next spring, then this is a good foot in the door. Next week I begin volunteering at a home school here in Boulder with 5 and 6 year olds. I am very excited to spend time around beings this age, they are so magically delightful! As I write to you, I just finished spending the morning in the kitchen making food for the day and some fun autumn snacks. These days of mine, since I left the hustle of a full-time career, look a lot like plenty of sleep, lots of exercise, time in the sun, and creative voyages into the kitchen, my heart and soul, and voyages via some very good books. I feel creative, happy, well rested and eager for this journey to unfold in all the magical ways I know it will.